TFW2005 member D-Drive again puts us in the driver’s seat with the comics shipping list for May 31, 2017. Two great titles, read on! As Starscream faces down the encroaching machinations of Elita One, he enlists Blast Off to help him bring Bruticus back! Baron Karza has triumphantly executed the first step in his plan to conquer the Earth. Only the Micronauts stand between him and his ultimate goal. Now comes the second step: Destroy the Micronauts. Why are Onslaught\'s arms so short? It took me a while to figure out he even HAD a lower right arm. 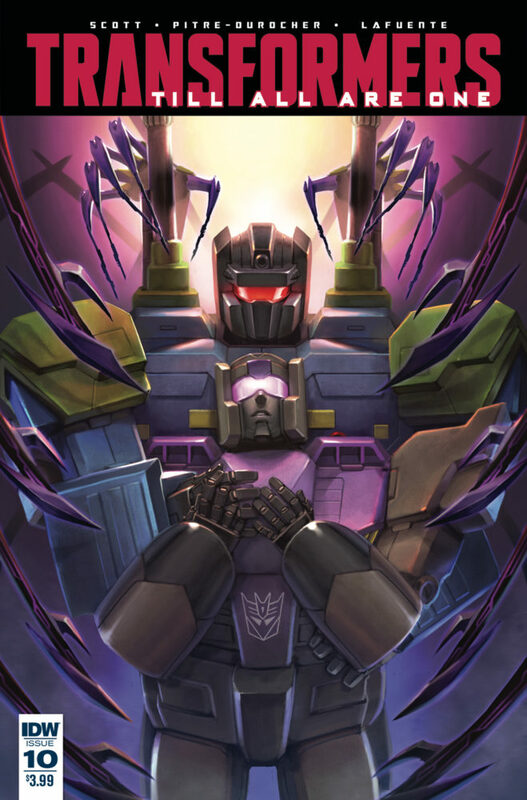 Why is Onslaught holding BlastOff like a prom photo….. Honestly, I'm more worried about the fact that those hands and arms are almost exactly the same as Airachnid's. Oh dear. Lets all grab each other, I grab you, and whatever shadow thing grabs me! Maybe in Onslaught's mind but the look on Blast-off's face suggests he'd prefer maybe they stay "really good friends".